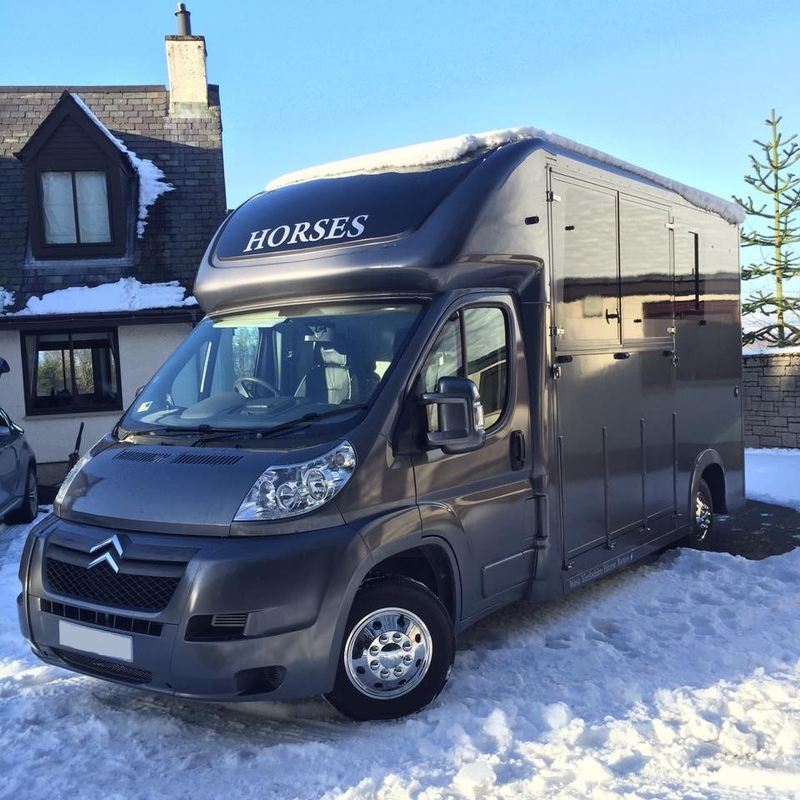 [Equihunter] A rare opportunity has arisen to buy a West Yorkshire Horseboxes 3.5t Arena. We are offering this fantastic horsebox for sale on behalf of our customer who is moving up to one of our 7.5t Equihunter Endurance horseboxes. Completed in January 2016 this fantastic horsebox has a lot to offer, it’s only 3 months old and based on a 2011 Citroen Relay chassis with only 62k miles. This Arena has travelled less than 500 miles since it’s completion and used on only 3 recent occasions since delivery. Constructed from superb quality lightweight honeycomb filled side wall materials, this horsebox is stalled for 2 and has a payload of 1000kgs. It also has as a standard a Twin Skinned Roof. It’s finished in beautiful Jaguar Metallic Grey paint. Solid single piece rubber flooring (12mm) on an aluminium sheet base. This Arena can be viewed in Auchterarder, Perth and Kinross just 15 miles north of Dunblane, Scotland. Easy access is provided by the A9. For more information and technical details, please call Chris on …..